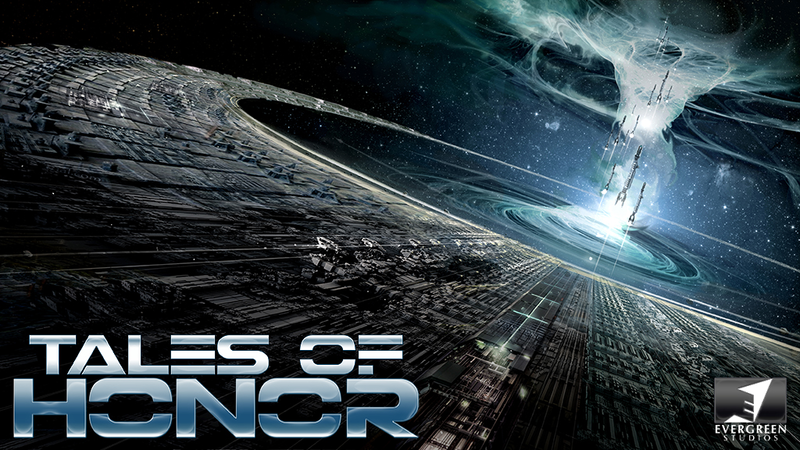 LOS ANGELES – February 26, 2014 – Evergreen Studios’ Tales of Honor multi-platform storyworld, based on David Weber’s bestselling Honor Harrington series of science-fiction novels, now has an official website. Fans can now get a glimpse of the first comic book issue, screenshots from the mobile game, along with preliminary art and information from the upcoming feature film slated for 2017. The new site includes insight into the development process and video interviews with some of the creative team. Visit www.tales-of-honor.com now for all the latest. Tales of Honor kicks off March 5th with the first of five comic books in a monthly series, through publisher Top Cow (available in comic stores and digitally at Comixology.com). 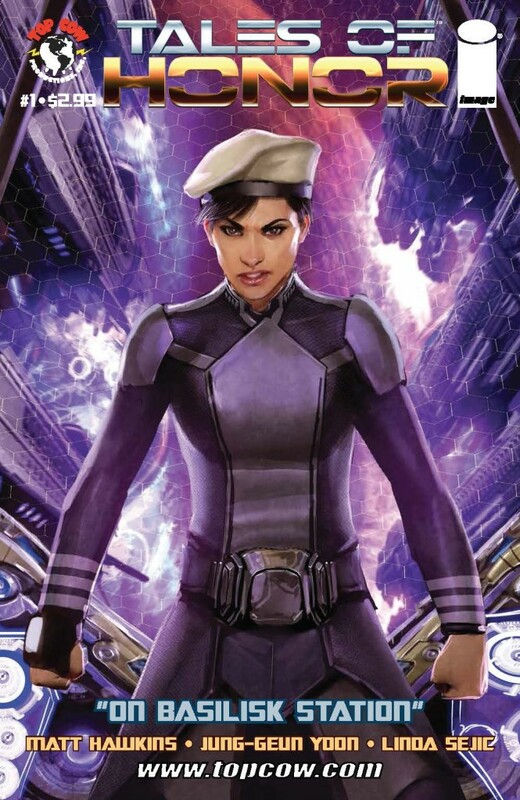 The first issue introduces spaceship captain Honor Harrington on the eve of her execution. From prison, Honor relays her epic adventures, starting with a command posting to a hellish backwater star system that ends up being the linchpin of an interstellar crisis that will bring war to her home planet. The first six pages of Tales of Honor: On Basilisk Station are now viewable on the official website. “We are engaging with consumers in a non-traditional way since we are sharing film concept art and giving people a look behind the curtain. Transparency, this early on, is almost unheard of in the business but we feel fan input is important,” said Mike Devlin, CEO of Evergreen Studios. Evergreen Studios (www.evgstudios.com) brings a Silicon Valley-based ethos to Hollywood storytelling. Using cutting edge technology to enhance the creative process, Evergreen targets and develops stories whose characters, plots, and ideas can unfold over multiple platforms. The company then determines which medium—films, television, apps, mobile games, console games, webisodes, and comics—is best suited to a particular aspect of a world. This allows Evergreen to tailor each immersive experience for its respective platform and retain the creative integrity of the story world. This release method empowers fans to explore and allows Evergreen to experiment while it builds awareness. Through this groundbreaking approach, Evergreen Studios is able to deliver story worlds of outstanding quality that resonate with audiences worldwide. Evergreen Studios first theatrical release, WALKING WITH DINOSAURS, was distributed by 20th Century Fox on Dec. 20th, 2013.